Colonialism in Africa took different forms, politically (see Module Ten: African Politics), and economically. In this section and the one that follows, two case-studies of two quite different types of colonial economic systems will be presented. Northern Rhodesia (Zambia) was colonized in the 1890s by the British South Africa Company (BSAC), a business group that received a royal charter from the government of Britain in 1888. This charter gave the BSAC and its leader Cecil Rhodes permission to colonize the areas north of the Limpopo river on behalf of Britain. In return for undertaking the expense of colonization, the BSAC was given the right to control all mineral resources found in the new colonies. Cecil Rhodes and other BSAC officials were convinced that Southern and Central Africa, the areas north of the Limpopo River, were rich with minerals. They based this belief on stories told by Portuguese traders who had traded in the interior of Southern Africa since the 18th century. These traders told stories of large supplies of gold and other minerals. The BSAC encouraged mineral surveys of the three colonies, but by 1920 no large deposits of gold or any other minerals were found. Under these circumstances the BSAC was not willing to continue to pay for the colonial governance of these territories. In 1923, the BSAC gave up political control over these territories. Prior to 1920, Northern Rhodesia (Zambia), the largest of the three colonies, was also the least integrated into the colonial and world economy. 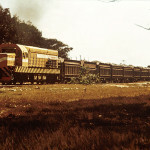 Settler-dominated beef, tobacco, and tea farming were developing in Southern Rhodesia and Nyasaland respectively, but there was very little commercial activity in Northern Rhodesia. This situation changed dramatically between 1920 and 1950. Large deposits of high quality copper ore were found in Northern Rhodesia and across the border in the Katanga region of the Congo. This discovery happened at a time when the expansion of electrification and the electronic industries in Europe and North America created a strong demand for copper. In a period of 30 years, Northern Rhodesia developed into one of the leading producers of copper in the world. Two large international companies, the Anglo-American Corporation and the Roan Select Trust, dominated the mining industry. 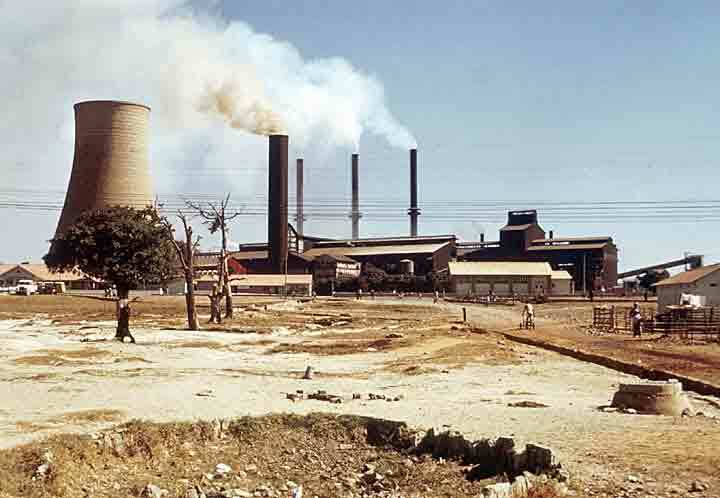 How did the copper mining industry impact Northern Rhodesia? Dramatically! The social, economic and political life of the colony were impacted. 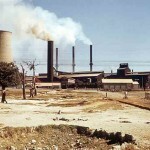 A dramatic change in the economy of Northern Rhodesia resulted from the exploitation of copper. 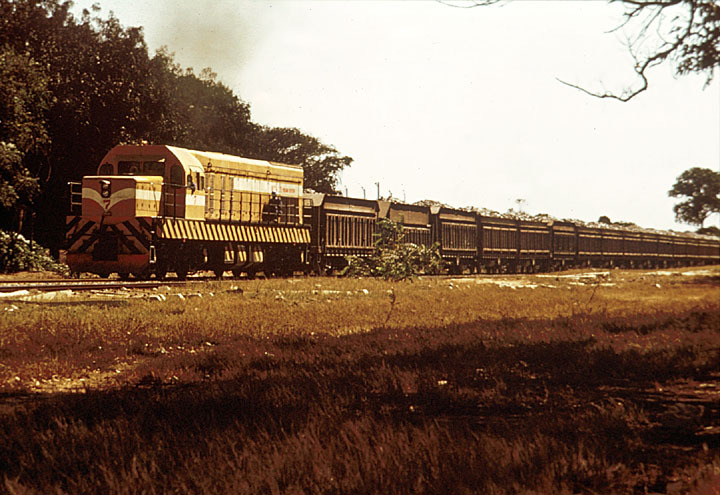 By 1950, the economy of Northern Rhodesia was fully integrated into the world economy. The Gross Domestic Product (the measurement of the monetary value of all goods and services produced in a country) of Northern Rhodesia grew from one of the smallest in Africa to one of the largest. A large urban area, known as the Copperbelt, developed around the copper mines. By 1950 Northern Rhodesia, which prior to 1920 was overwhelmingly rural, had the largest urban population in Africa. 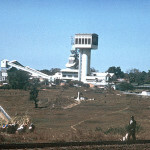 The mining towns of Kitwe, Ndola, Chingola, and Luanshya became cities. Commercial businesses developed to service the needs of the mines and the mine employees. In addition, small scale manufacturing and machinery repair businesses developed to assist the mines. The most dramatic economic (and social) change occurred as result of the demand for workers. Large underground mines depended on large numbers of workers, unskilled, semi-skilled, and skilled. Most of the skilled labor was recruited from Europe and South Africa, but large numbers of semi-skilled and unskilled workers were recruited from the rural areas within Northern Rhodesia. 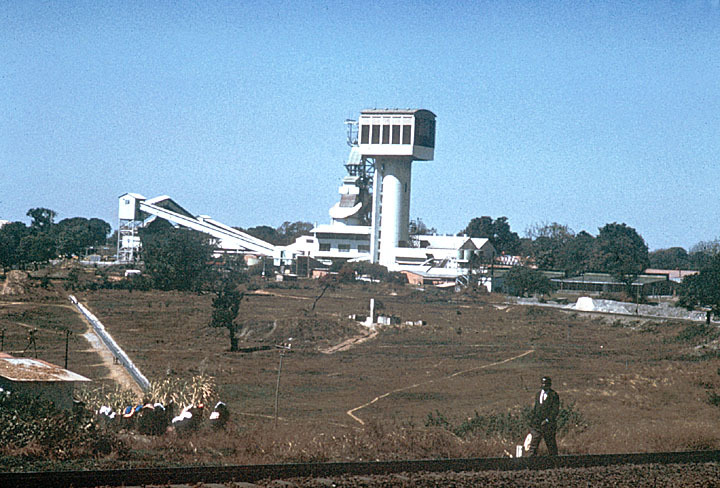 Working on the mines provided income for a growing number of Northern Rhodesians. These incomes increased in the 1940s and 1950s as workers organized themselves into trade unions and demanded higher wages and improved working conditions. Labor migration and urbanization resulted in a dramatic increase in the demand for food. In the 1930s and 1940s, a small, but significant, group of European settler farmers were encouraged to grow maize (staple food) and raise cattle to meet the food needs. These farmers were sold choice land that was taken away from African subsistence farmers, who were forced to move to less productive land. Moreover, in order to protect the market of the European settler farmers, the colonial government made it very difficult for African farmers to sell surplus maize and cattle to the urban markets. While some participants in the urban and commercial agriculture sectors benefited from the copper explosion, most rural dwellers did not. This is particularly true for African farmers, who were forced to move off good land to make way for European settler farmers. In areas of Northern Rhodesia where workers were recruited to work in the mines, there was considerable suffering. Before 1945, African workers were poorly paid. After paying for food and lodging, they had little left to send home to their families at their rural homes where their absence negatively affected food production. In rural areas where many men migrated to work in the mines, there was a substantial reduction in food production. In the 1930s, Audrey Richards, a British economist, studied the impact of migrant labor on the Northern province of Northern Rhodesia, a primary source of migrant labor to the Copperbelt. Her studies showed that widespread malnutrition and poverty-related disease existed in this area. Her studies suggested a direct relationship between migration to the mines and greater poverty in rural Northern Rhodesia. Remember that the BSAC was happy to give up political control of Northern Rhodesia. This was prior to the discovery of copper. The development of the copper industry resulted in the immigration of European settlers to work in the mines and as commercial farmers. These settlers resisted attempts by African peoples to gain a voice in the political arena. The settlers were afraid that a greater voice for Africans would result in them losing their position of economic and social privilege. The European settlers in Northern Rhodesia never gained the power that settlers did in neighboring Southern Rhodesia (Zimbabwe) and South Africa. But their influence was strong enough to delay political independence in Zambia. 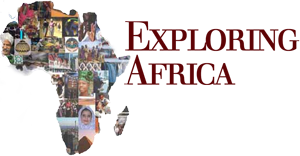 While the majority of African colonies obtained independence in 1960 or shortly before, Zambia did not gain independence until October 24, 1964. When Northern Rhodesia gained its independence as Zambia in 1964, it inherited a unique economy and social structure. Although Zambia’s mines had produced over a billion dollars of sales and profits for the mining companies outside the Copperbelt, there was little evidence of Zambia’s wealth. The vast majority of profits had been taken out of the country by Anglo-American and Roan Select Trust. Colonialism had done little to develop the economic infrastructure outside the commercial farming areas dominated by European farmers. For example, in the social area, in spite of the Zambia’s wealth by independence, with a population of nearly three million, less than a third of Zambia’s school age children completed primary (elementary) school. There were also fewer than ten secondary schools for Zambian students. 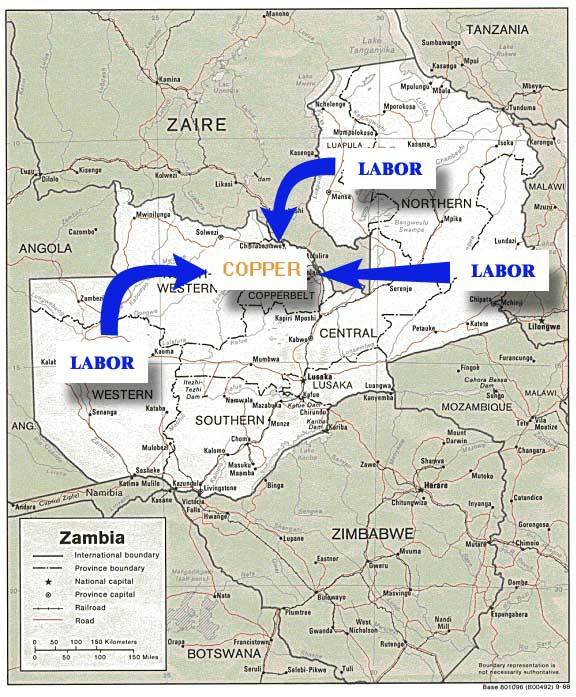 Very little of the copper wealth had been reinvested in Zambia. It is not surprising, given this situation, that Zambia’s first president, Kenneth Kaunda, and his government, committed itself to using Zambia’s mineral wealth to improve the economic and social conditions in Zambia. Based on what you have learned in previous lessons and the information provided in this module, write a short story in which you pretend that you are a young girl or boy, age twelve, living on the Northern Rhodesian Copperbelt in the 1950s. You were born in a rural district in the Northern Province of the colony where you lived with your grandparents who were subsistence farmers. When you turned ten years old, you moved to Kitwe, a city in the Copperbelt region of Northern Rhodesia, to join your parents. Your father is a miner and a trade union activist working in the copper mines, and your mother is a dressmaker. In your story, you should tell about your life in living in a rural village prior to leaving for the Copperbelt. What type of activities were you involved in? Did you help your grandparents farm? How did your life change when you moved to the city? What types of activities are you involved in now? What sort of changes do you hope will take place in Northern Rhodesia by the time you become an adult? Once you have completed your story, hand it in to your teacher. Go on to Activity Seven or go to one of the other activities in this module.